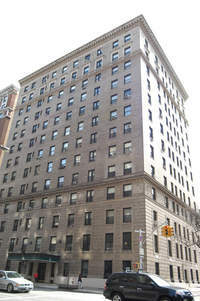 246 West End Avenue was built in 1913. The buildings has 102 units and 13 stories. Please complete and sign Sublet Application. Please submit fully execute Blumberg Lease. Please submit Statement of Assets and Liabilities signed by purchaser or accountant. Please submit Employment Verification Letter. Include length of employment and salary. Please submit three (3) personal reference letters. Please submit three (3) business reference letters. Please submit letter from present landlord or managing agent. Please execute and submit Lead Paint Disclosure Form. Please submit Credit Check Authorization. Note that maintenance and all other charges due to the co-op must be current or a sublet request will be denied. Please submit completed Purchase Application. Please submit Contact of Sale executed by all parties. Please submit Statement of Assets and Liabilities. Please submit Statement of Cash and Liquid Securities (funds that are accessible within two business days). Please submit Statement of Indebtedness. List and itemize all debts, including but not limited to mortgages, credit cards, student loans and personal loans. Please submit Cash Flow Statement. Include: a) Monthly Income b) Monthly Mortgage & maintenance payments c) Other monthly payments d) Total Debt/total assets e) First page of most recent statement for all assets, liabilities, cash, liquid securities and debts listed above. Each page should show total balance of asset or liability referenced. Please submit Employment Verification Letter. Include length employment and salary. Please submit federal income tax returns, with all schedules and W-2 forms for the past 3 years. Please submit two (2) personal reference letters. Please submit two (2) business reference letters. Please submit a letter from present landlord or managing agent. Please submit acknowledgement that the purchaser(s) read the house rules. Please submit Lead Paint Disclosure executed by Seller, Purchaser(s), and Agent(s). If apartment is being financed (75% maximum), Include: a) Commitment Letter b) Copy of Loan Application c) Copy of Appraisal Report d) Recognition agreements- (In triplicate-Aztec Form Only).